Celebrate St. Patrick’s Day at Natalie’s with one of the region’s premiere Irish bands, The Kells. 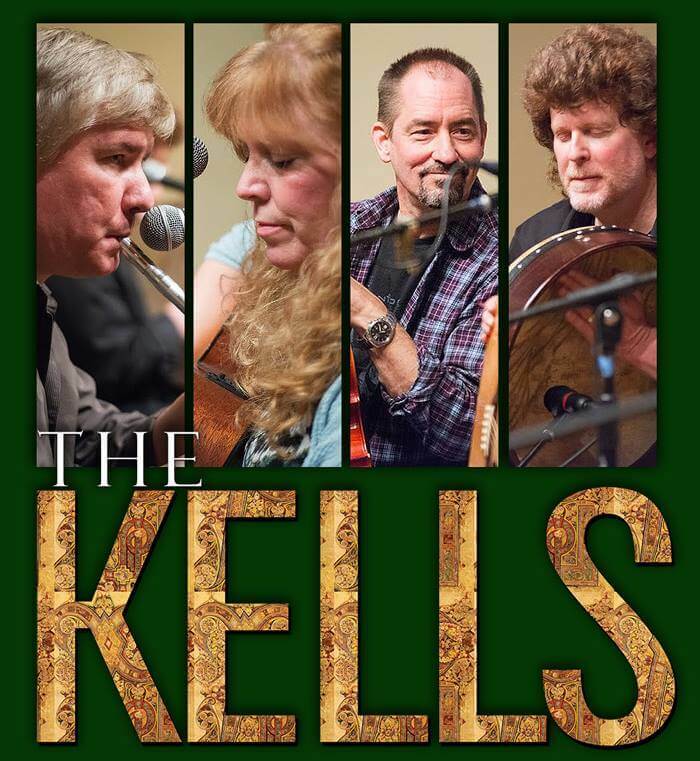 The Kells play traditional Irish music with a genuine passion and a sincere sense of purpose. They pour their hearts into playing lively jigs, spirited reels and haunting airs with songs that reach deep into the moral and emotional part of man’s nature. Instruments such as the Irish uilleann, pipes, tin, whistle and flute provide the brilliant melodies, while the guitar and traditional Irish bodhran provide intricate layering, heart-beat and drive. Members of this outstanding band include Brian McCoy (flutes, whistles, pipes), Doug Rudy (mandolin, banjo, fiddle, vocals), Kim Rattan (lead vocals, guitar, mandolin, Bazouki), and Eddie Cotter (vocals, bodhrán).